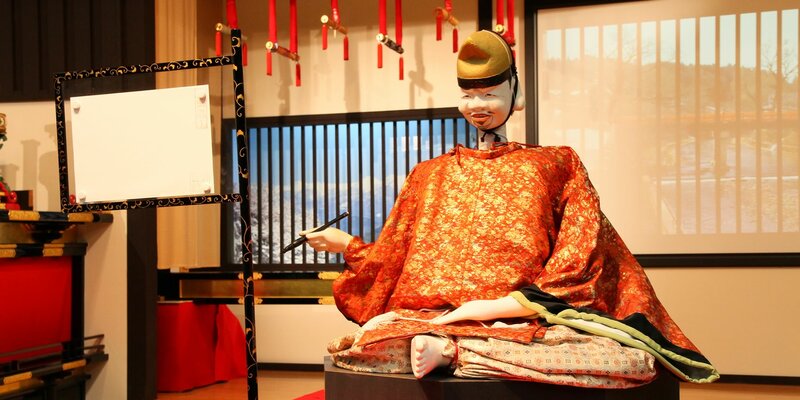 What is the Karakuri doll (clockwork mechanism doll)? 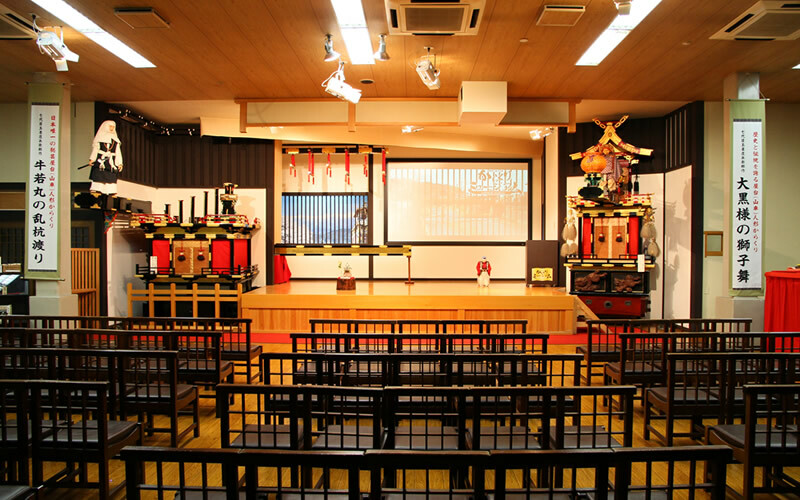 There is a “Dashi (float) Karakuri” and a “Zashiki (parlor) Karakuri” in the Karakuri (clockwork mechanism). 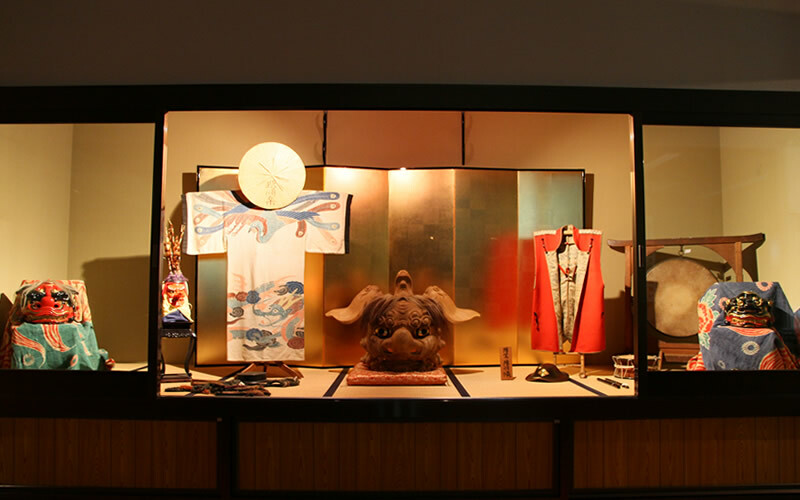 "Dashi" is a symbol that indicates the subtleties of God appears, and the Karakuri dolls have been installed as embodied of God to "Dashi". 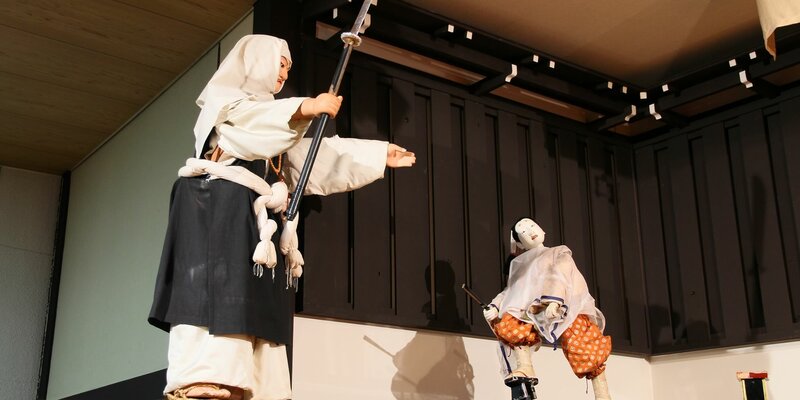 For the Dashi Karakuri (float clockwork mechanism), there are “Ito Karakuri (thread clockwork)” to operate doll, manipulates engineered yarn, and “Hanare Karakuri (clockwork move independently without guidance)”that manipulates winding spring and/or spring to operate. 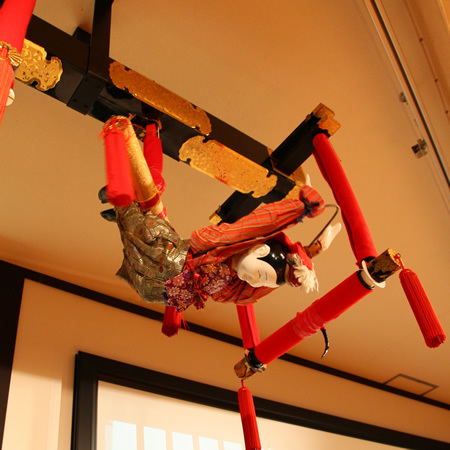 Even in the Spring Festival - autumn festival of Hida Takayama, those dolls showing off acting lightly on a luxurious float and, it has attracted many spectators. 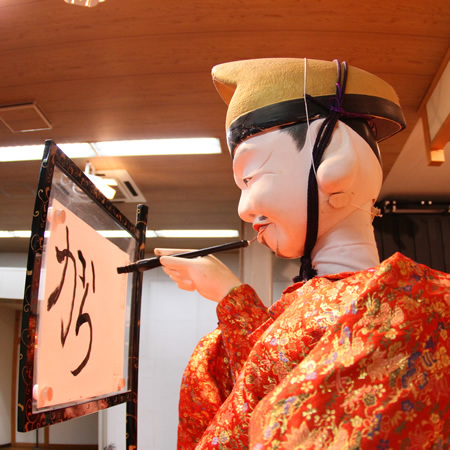 Ebisu is, write the auspicious character with a ink brush. It will be gift to visitors. How Ebisu write a letter is the pleasure after you viewing it. Start moving when a placed a tea cup in hand, and it will stop if a tea cup is took off. 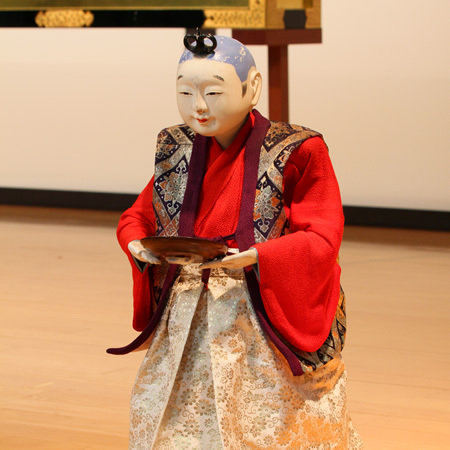 Then, placed a tea cup in hand again, the doll turns around and go back to where he came from. When Daikoku-sama shaked a mallet of luck, colorful flowers will appear from cracked pot. 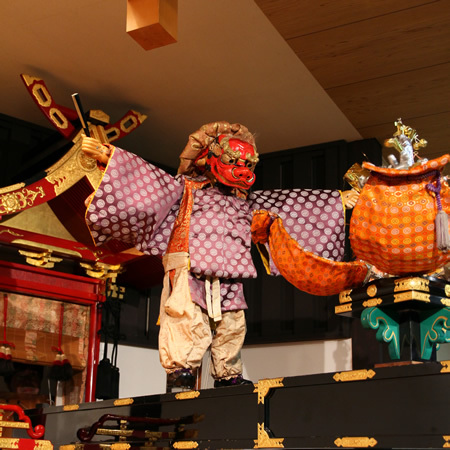 Also Daikoku-sama’s mask changes to the lion, and a lion dances brilliant. 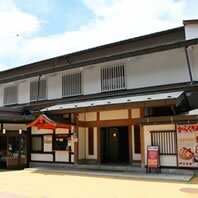 Kakubei-jishi will show off the flying trapeze go across from Aya (trapeze) to another aya. It landed on the pot to the stage wing. Cuteness shake the hand when leave. On top of the Kyoto Gojyo Bridge, Benkei pitch into Ushi-wakamaru with swinging long handled sword. However, Ushi-wakamaru is fled to the far-off by stepping on the eight pieces of snuggly piles. Benkei is seeing off Ushi-wakamaru chagrined with stamping the ground. 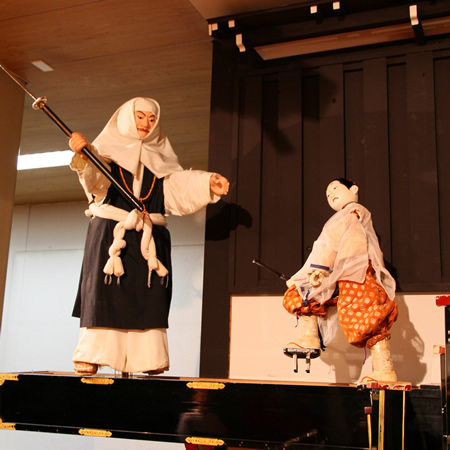 Performance of Karakuri dolls, from 9:05 am to 4:25 pm, from time to time we exhibit. You are always welcome. 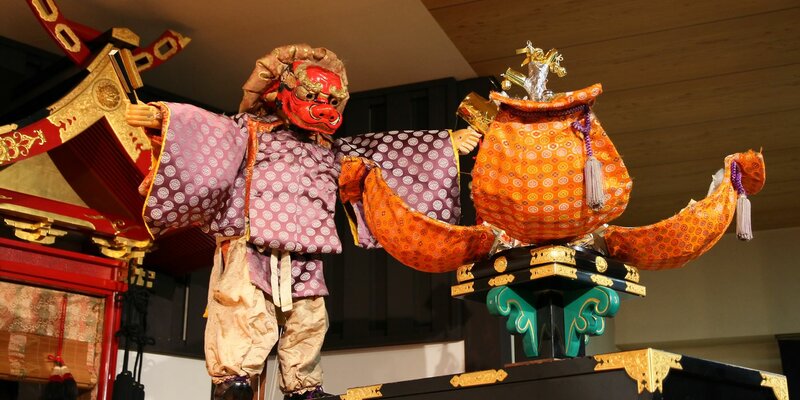 Brilliant performance and dance of Karakuri Dolls. 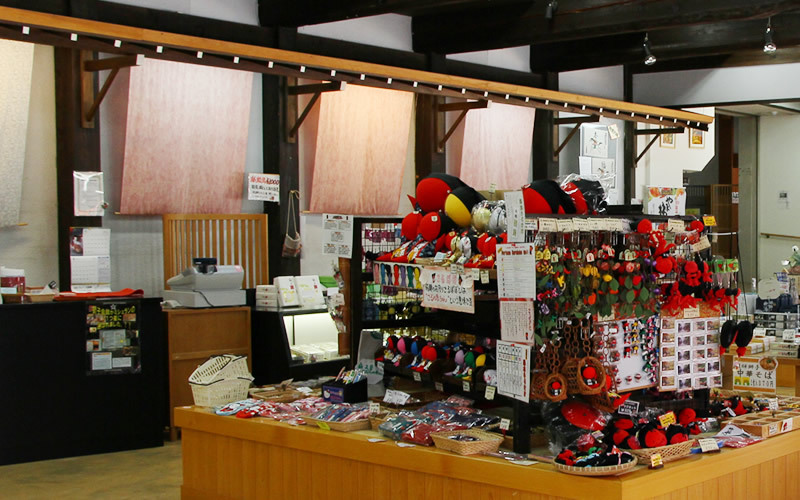 In the work of spirit and tradition of the Takayama’s festival is cultivated Hida people’s spirits and traditional techniques gives heart into the Karakuri dolls. 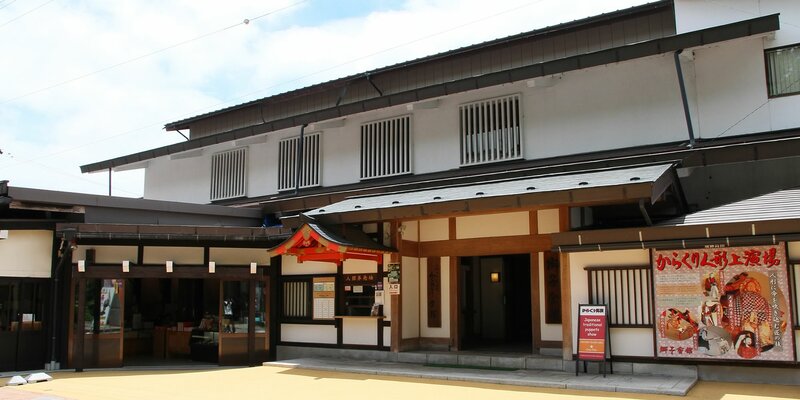 Our stages line-up are such as the “Ushi-wakamaru and Benkei (a legendary story)“ which is showing only our museum, “Ito Karakuri”, “Letter writing doll” and “Zashiki Karakuri” at Edo era which uses spring motivity. 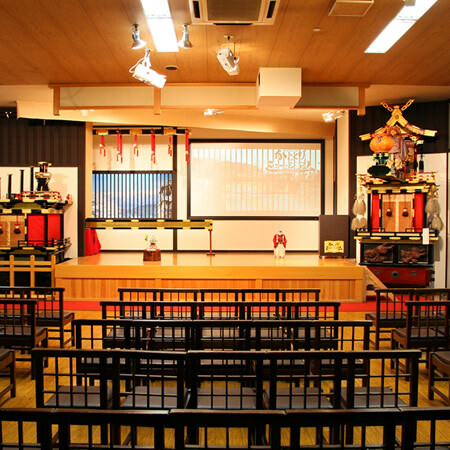 Please relax and enjoy our Karakuri performances. 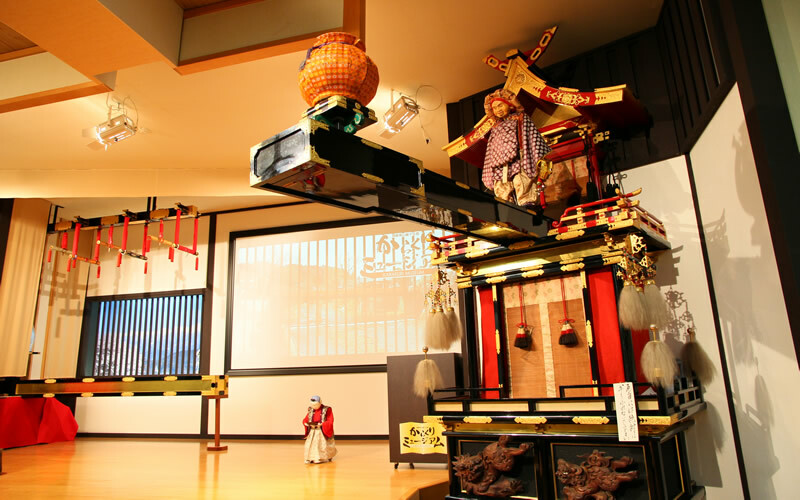 We are showing 5 stages Karakuri by our Karakuri masters. 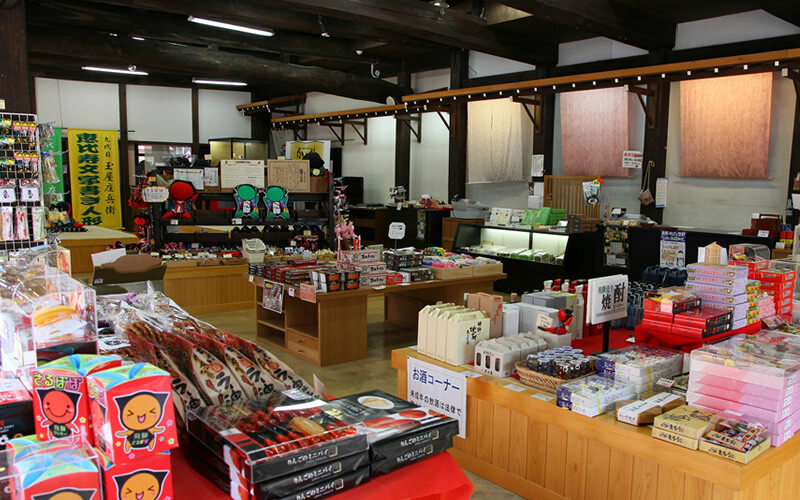 At our gift shop, you can find out the Hida’s wide variety souvenirs and traditional taste has been popular in Hida, such like " Hoba miso (soybeans paste with magnolia leaf for grill)”, "Aka-kabura zuke (red turnip pickles)", friendly soy sauce taste "Takayama ramen noodle“, brewed with Hida’s local delicious water “Micro brewed Sake” and Hida’s local mascots doll “Sarubobo” that each one is made by hand and etc. We also accept domestic shipping, please ask us casually. 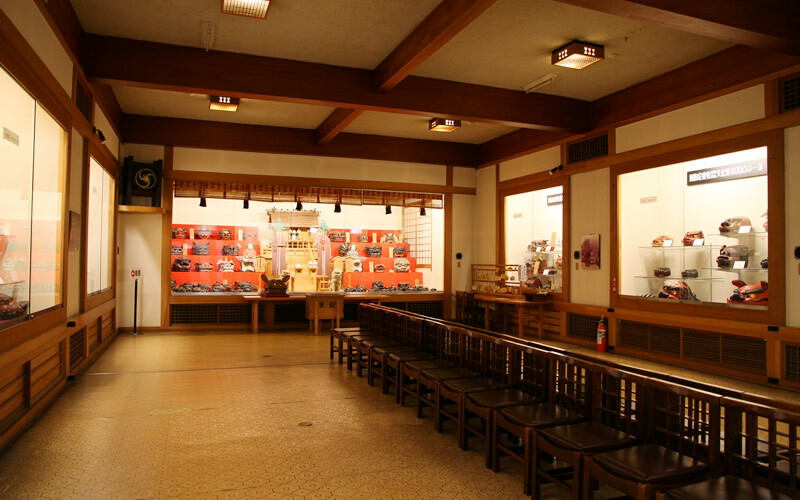 Copyright © 2016 Hida Takayama Shishi kaikan "Karakuri Museum". All Rights Reserved.